During the summer, the northern parts of Norway are no place for stargazers. When the arctic circle magically hides the nighttime half a year, a 360 degree timelapse reveals its beautiful trick: the sun rises and falls, just to dodge the horizon and to rise again. Mathematicians will appreciate this sinus pattern along the x-axis that is the horizon, dyslexics like me will awe in beautiful incomprehension of nature and planetary science. 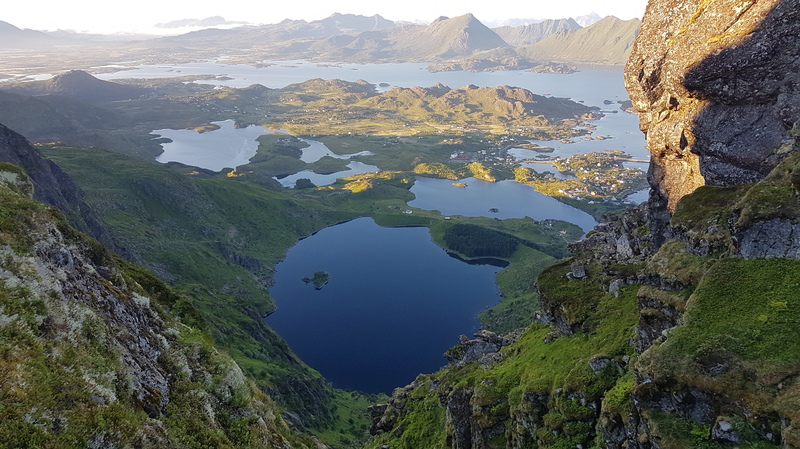 This is where I have decided to spend my summer, to be more precise in Norway’s famous Lofoten Fjords. 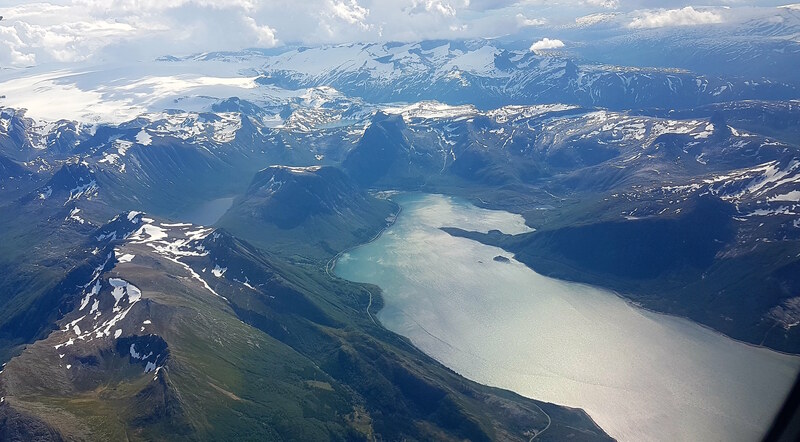 High up in the north, even in July one can expect to see remnants of snow capped hills along the vast and epic mountain ranges that dramatically plummet into the ocean along these shores. The steep cliffs, which are surrounded by a sheer endless mass of water, are playground for hikers, climbers, mountainbikers, Photographers and pretty much everyone who likes to spend his leisure time outside. Needless to say I feel home here. My passion for diving has led me to incredible places throughout the course of the past 34 months and my instinct doesn’t seem to fail me: having accepted a job offer in the Lofoten, I am now teaching Scuba courses such as Open Water Diver, Dry Suit and Deep Dive Specialties for a family owned little divecentre in the most charming little Norwegian fisher village: Ballstad is famous for its Cod Fish – a local delicacy that is to be dried in the outdoors for months, before it can be delivered and processed along its key chain, just to be exported all over the world. My little apartment is so close to the storage facilities, I sometimes feel/smell like I am about to be shipped off myself when I wake up in the morning (it’s a nice smell though. Hm, I probably got way too used to it…). When I said apartment before, I actually meant a boat house with a couple of rooms on the first floor. This is a house, where boat owners store their little motorboats, so I actually have to pass the storage hall to get to the stairs, which lead to the living area. One of many benefits is that I can open the main door, and if I was very clumsy (and probably blind), I could literally fall into the water. Why is this a benefit you ask? 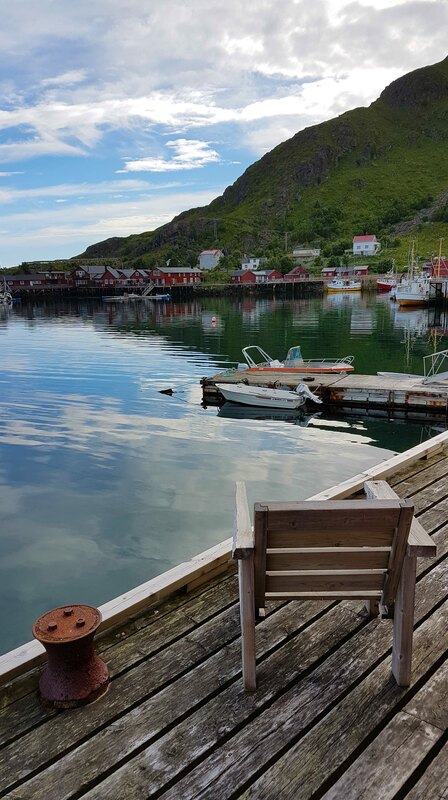 Well, the view from this pier over the small bay is absolutely stunning and the traditionally red painted wooden cabins/houses just in front of the water make for a lovely scenery. After everything I had the chance to see, I am still surprised (and happy) to notice how I can still be appreciating these landscapes this much every single day. Could it possibly be so much more beautiful than anything I have seen priviously? It could. Or is it the fact, that I broke away once more from the regular and busy day life just before it even started? Also, a very valid point. “Why do we love nature?”, I wonder. Is it because it shows us how much better things would be without us? How they’d look if we weren’t there? A blast from the past if you will? Everything is green and colourful when we aren’t there, everything is grey when we are. 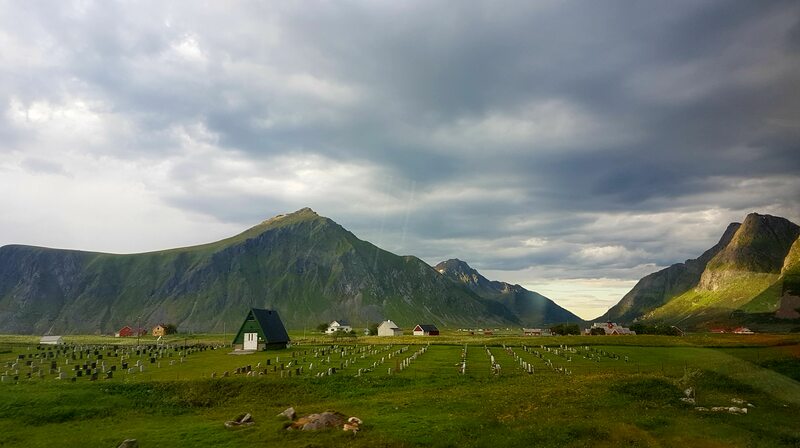 Norway’s population isn’t very dense, nature and wildlife much appreciated and taken care of. With fishing and even in regards to their whaling activities (which I still condamn), they count as the most sustainable and ecologically progressive countries in the world, managing to keep a working balance between demand and supply. Their maritime laws are strict, but Norway is one of the few countries in the world, where a scuba diver is allowed to actually spearfish. I haven’t found a speargun yet, but I am keeping my eyes open for this awesome opportunity! Also; everything is so expensive and I have to come up with new ideas to still my constant appetite. There is a salmon farm only about a stonethrow away from my house, I should have a look at it soon. People here are wonderful and very, very nice – once you actually get them to talk. Otherwise the typical stereotype of the cold, nordic culture is definitely proven to be right: To get a pro-active “hello” from a Norwegian on the street is quite a highlight. They are tough motherfuckers though; even in the summer temperatures can drop to 10 degrees outside. No reason to wear a sweater or long pants for some. When there’s a party, you want to make sure you look as trashy as possible, so you better wear something really short and revealing. No matter the winds – or the stares. They sometimes go swimming in 11 degrees water temperature, rarely complaining about the cold when diving in wetsuits (and they often do choose wetsuits), and just generally appearing very Viking-ly. I actually saw a Viking sailboat the other day, disappearing in the horizon. So. Cool.! Their words are sometime unpronouncable and whenever I ask for a location, I have to make it type into my cellphone, as my brain cannot process the syllables and transfer them into letters. God knows if I will ever learn some words, so far I am pretty much concentrating on saying “takk” (thank you) properly without falling down. My flatmates here, an Irish Lad, a Czech and a Polish girl are absolute legends and spoiling me with cake, muffins and many other treats and I am generally well and healthy. So stop worrying Mum! You’ll hear from me. Stay tuned.